Teresa Miguel-Stearns is Law Librarian and Professor of Law at Yale Law School. She has been directing the Law Library since July 2016. Prior to her current appointment , she held a variety of positions within the Lillian Goldman Law Library since 2005, including Deputy Director, Associate Law Librarian for Foreign and International Law, Bibliographer for Iberia and Latin America, and Reference Librarian. 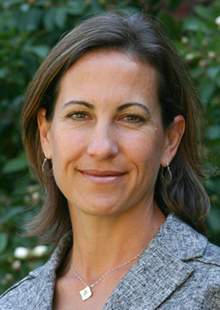 Teresa Miguel-Stearns is Law Librarian and Professor of Law at Yale Law School. She has been directing the Law Library since July 2016. Prior to her current appointment , she held a variety of positions within the Lillian Goldman Law Library since 2005, including Deputy Director, Associate Law Librarian for Foreign and International Law, Bibliographer for Iberia and Latin America, and Reference Librarian. Miguel-Stearns’s areas of interest in research and teaching include Latin American law and politics, legal research, foreign and international law, the history of law librarianship, and the history of Yale Law School. Miguel-Stearns led a team of librarians to collaborate with other organizations to create and launch GOALI—Global Online Access to Legal Information. GOALI is the fifth module in the Research4Life platform. Research4Life is a public-private partnership of librarians and publishers that delivers licensed research and scholarship to institutions in developing countries at low or no cost. Miguel-Stearns also founded ALLStAR, a data collection and analysis tool for U.S. academic law libraries, in 2014. In partnership with NELLCO and colleagues around the country, ALLStAR was launched in 2016 with over 3,000 data points including many years of pre-loaded ABA and ARL data. ALLStAR is now the primary method for law libraries to capture, share, compare, and analyze data, which allows libraries to benchmark, learn and implement best practices, and more strategically allocate resources. In 2017, Miguel-Stearns founded SELA Bibliotecarios, an annual meeting of Latin American law librarians held concurrently with Yale SELA each June. In 2017, the inaugural meeting convened in Quito, Ecuador and included law librarians from participating SELA institutions in Ecuador, Mexico, Argentina, and the U.S. In 2018, the conference in Puerto Rico included law librarians from San Juan’s two law schools and Argentina. Miguel-Stearns’s long term goals are, among others, to create a network of law librarians throughout Latin America and increase the profile of law librarians and the profession of librarianship throughout the region. Miguel-Stearns is committed to diversity, equity, and inclusion in law libraries. An alumna of Knowledge River (University of Arizona) and the ARL Initiative to Recruit a Diverse Workforce, she has lead Yale University Library’s Diversity Counsel and AALL’s Latino Caucus. She has also participated in AALL’s Diversity Committee, sponsored ARL’s Symposium on Strategic Leadership in Diversity, Equity, and Inclusion, and has hosted a New Haven Promise college student in the Law Library since the program was first offered in 2016. Miguel-Stearns earned her J.D. from the University of Richmond School of Law and worked as a public defender for close to eight years before earning her M.A. in library and information science from the University of Arizona.